Luiz Inacio Lula da Silva remains such a towering figure in Brazilian politics that even his absence casts a shadow. When President Michel Temer last week inaugurated a long-awaited irrigation project in Monteiro, a dusty town in Brazil’s arid northeast, much of the praise from locals and visiting dignitaries went to Lula for launching the much-needed infrastructure over a decade ago. The 71-year old former metal worker, trade union leader and two-time president retains the devotion of many Brazilians, particularly in the northeast. Despite a devastating corruption scandal, much of which originated on his watch, and the catastrophic unraveling of the economy under his hand-picked successor, Dilma Rousseff, Lula is considering a comeback. Facing no fewer than five separate criminal charges against him – three linked to Operation Carwash – the left-wing leader is still the most popular in opinion polls only 18 months ahead of the next presidential race. Brazil’s political establishment is not counting him out quite yet. Aloysio Nunes, the foreign minister and leading member of the Brazilian Social Democracy Party – the PT’s traditional opponent, told Bloomberg that the former president clearly had a chance of returning to power. Tens of millions of Brazilians rose out of poverty on Lula’s watch and former U.S. President Barack Obama once called him the most popular politician on Earth. Not since the nationalist leader Getulio Vargas has a politician dominated Brazilian public life as has Lula, who ended his eight years in office with record-high approval ratings. For Flavio Lucio Rodrigues Vieira, a sociologist and historian from the Federal University of Paraiba, the ex-president’s continued appeal to many in the northeast rests on his government’s investment in the region’s infrastructure and its policies of social inclusion. “They had the greatest impact in the northeast due to the fact the region has lower average incomes and salaries,” he said. As a son of the northeast himself, Lula’s rise from poverty to Brazil’s highest office remains a source of inspiration for many in the area, he added. The former president, who declined to comment for this article, has repeatedly stated his willingness to run again “if needed.” The recent death of his wife, Marisa Leticia, saw an outpouring of sympathy from his supporters. One of the speakers at her funeral described the former first lady, who also faced corruption charges, as a “victim of persecution.” The widespread belief among Lula’s followers that the charges against him represent a political witch hunt have strengthened his appeal in places like Monteiro. Few of the town’s residents would disagree. In the last elections, 77 percent of Monteiro voted for Rousseff. In the 2006 presidential election, over 83 percent voted Lula in for a second term of office, according to figures from Brazil’s top electoral court. Ahead of Temer’s arrival in the town last week, the local radio station pleaded with locals not to protest. But when the ceremony started, organizers had to turn up the music to drown out the demonstrators booing Temer and cheering Lula. Over 50 million Brazilians live in the impoverished northeast, and many receive Bolsa Familia, the benefits program that expanded dramatically under the rule of Lula’s Workers’ Party, or PT. In Boqueirao, another sun-baked town in the interior of Paraiba state, residents complain about the lack of job opportunities and the Temer government’s plans to shake up the pension system and force Brazilians to retire later. But outside the region, Lula and the PT are far less popular. In local elections in October the party lost control of Sao Paulo, Brazil’s largest city, along with 60 percent of the municipalities it won in the previous elections in 2012. Analysts from Eurasia Group political consulting firm argue in a research note published on March 9 that even if he does run for office, Lula has little chance of winning, based on his high rejection numbers outside the northeast. 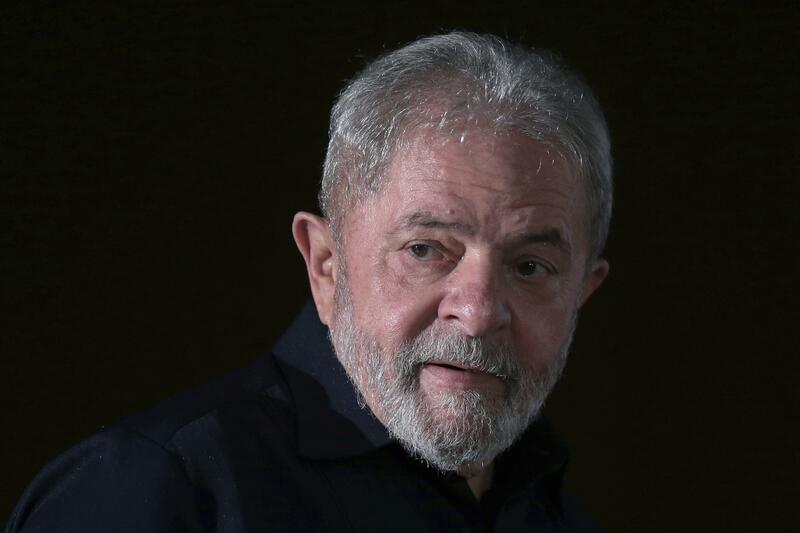 A recent poll conducted by Ipsos Public affairs found that 66 percent of respondents either totally or partially disapprove of Lula as a candidate. “Lula leads in voter intentions in great measure because of name recognition and a relatively loyal base of support that totals 25 to 30 percent of the electorate,” they wrote. The former president also faces serious legal challenges to running again. If he loses just one of the cases against him he could be barred under Brazil’s ‘clean slate’ law that prohibits anyone convicted in an appeals court from standing for office, according to Eurasia. Still, just a week after Temer’s visit, this Sunday Lula plans to visit Monteiro to lead his own, unofficial inauguration of the project to divert water from the Sao Francisco river. He can be certain of receiving a warmer welcome than the current president. Jailed during the military dictatorship, Lula lost three elections before his 2002 victory. He has defied the odds before and may do so again in 2018. But this time around, some analysts believe that the former president himself may decide against another run. Published: March 17, 2017, 9:09 a.m.